Republicans in the House of Representatives are considering a $5 billion bill that would fund the border wall President Donald Trump has promised. The legislation comes as Trump met with House Minority Leader Nancy Pelosi and Senate Minority Leader Chuck Schumer Tuesday morning to discuss the possibility of a government shutdown and to see if they could work on a deal to avoid one. 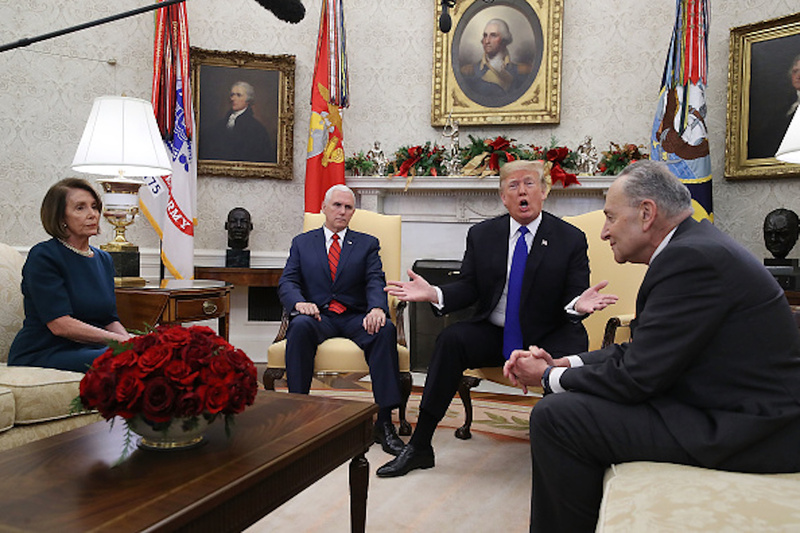 Trump told both Pelosi and Schumer if Democrats do not fund the border wall, he will shut down the government, as he has been trying to receive funding since taking office in 2016. Republicans hope that introducing this legislation in the House would lead to a vote in the Senate, where Republicans will still maintain the majority after picking up two seats in the Nov. 6 midterm elections. However, Republicans lost the majority of the House, so passing the legislation would need to happen before Dec. 21 to avert a partial government shutdown. House Republicans believe they have the votes in order for it to pass. This could be the last shot the GOP has to lock in border wall funding before Democrats take back a majority in the House on Jan. 3.